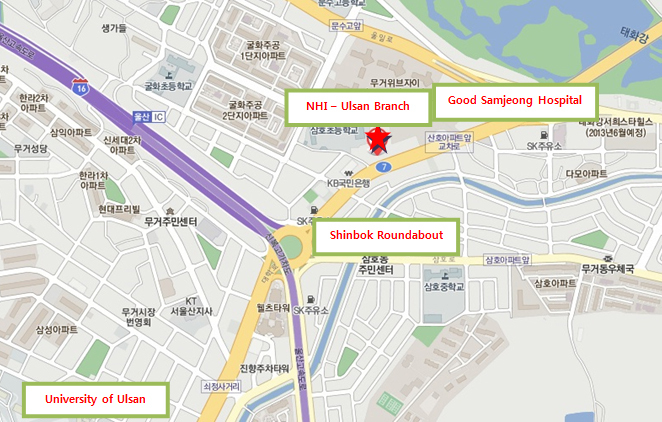 University of Ulsan : National Health Insurance(NHI). For the details of the NHI program, please visit the website. * Get off the bus at ‘Sanho Apartment’ stop.